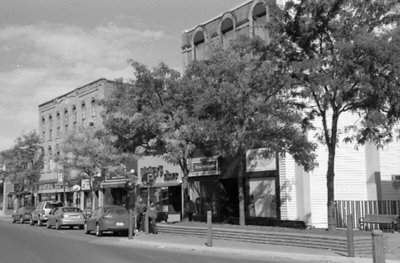 A black and white photograph of Brock Street North. This is a view of the east side of Brock Street north of Dundas Street. Brock Street North, October 2005, Carl Ferencz. Whitby Archives A2013_016_002A.